The Neo models are quite nice, just expensive compared to say Minichamps and the quality is probably no better. Yes, they're only worth a look because they're offering cars that Minichamps haven't as yet. Although I'll probably wait till they do.I'd like a decent 343 first - I have only a very old basic Hot Wheels model of it. Hope you don't mind me slipping one in here (missus)? 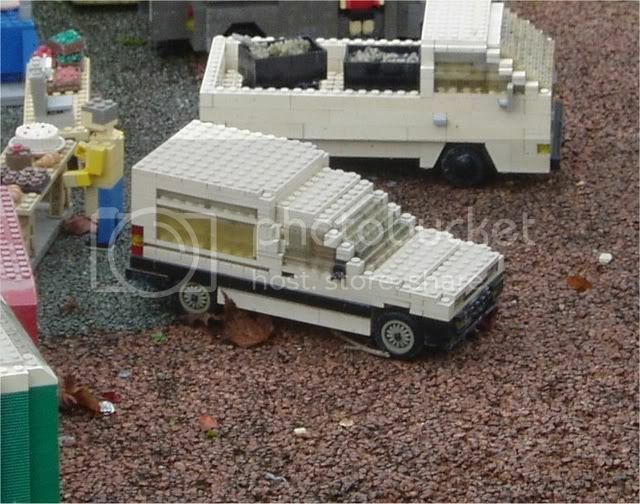 Is this proof that model makers at Legoland have a sense of humour? CURSES! - I've just looked for images of a Renault Extra, and I now think that's what it's meant to be. There was me hoping it was a Matra Rancho!! Oh the disappointment! To think I queued for hours to see that! With a T3 VW Pickup in the background?